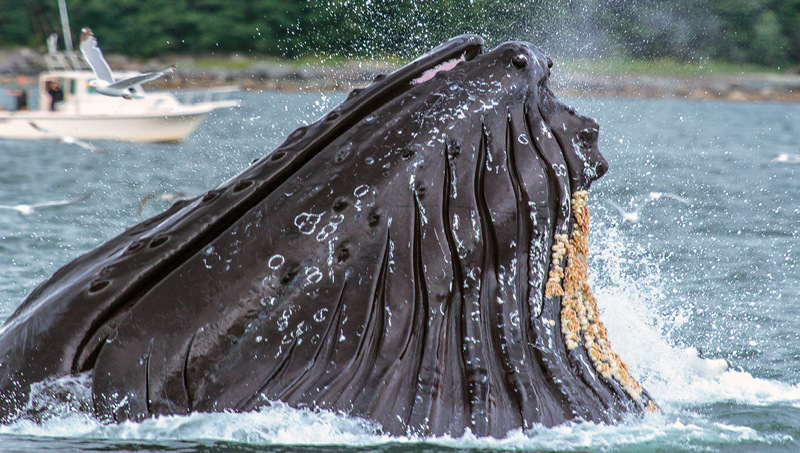 Breathtaking whale sightings and King Crab piled high! 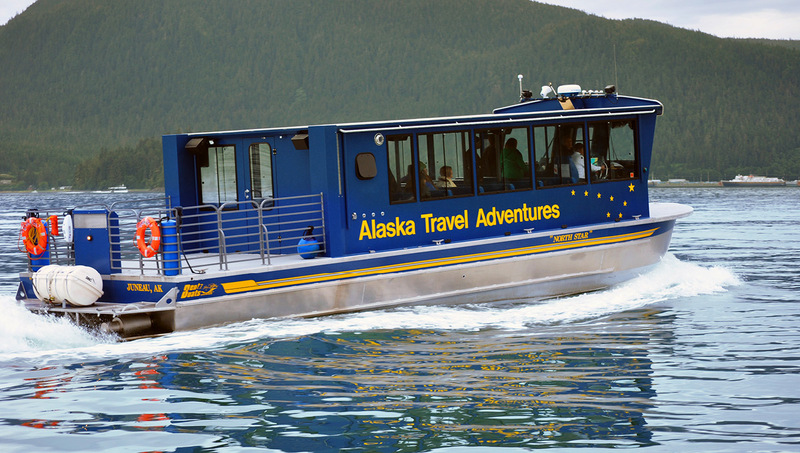 Tour includes whale watching cruise with onboard naturalist, Red King Crab leg meal, transfers to and from the pier. 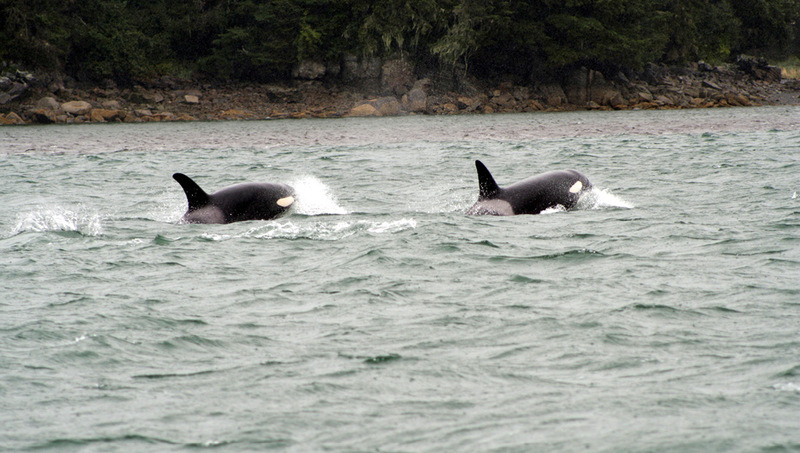 Narrated transfer on your way to Auke Bay where your experienced whale watching Captain and knowledgeable Naturalist will welcome you aboard our state of the art 48-passenger jet boat, custom designed for Juneau whale watching with large windows in the comfortable, heated interior and an outside viewing deck. 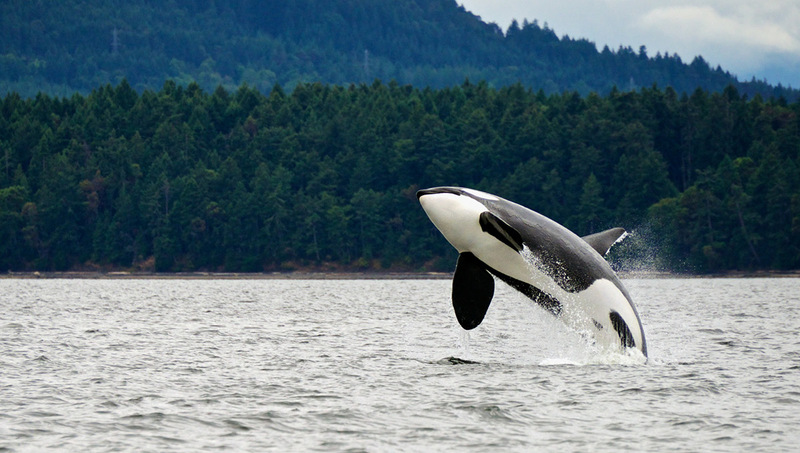 Provided binoculars may enhance your panoramic view of whales and other marine mammals like sea lions, seals and porpoises. 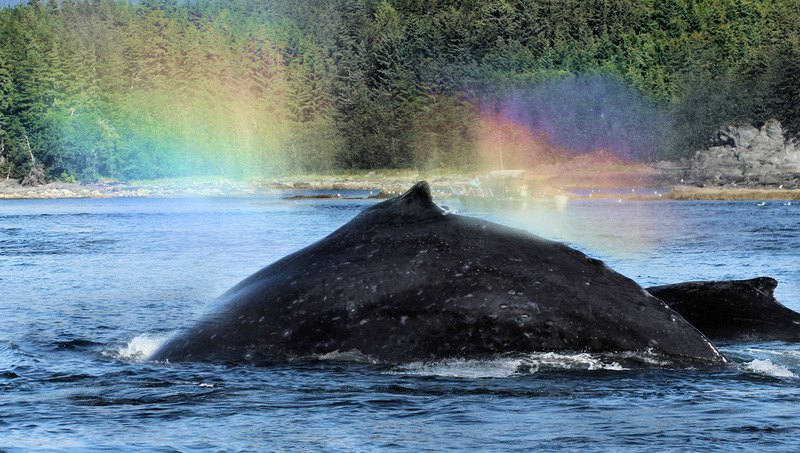 Whale sightings are guaranteed! Following your cruise, head to the Pier 49 Seafood Station, located on Juneau’s waterfront. You’ll be served one pound of Bering Sea Red King Crab Legs – easy to eat and dip in drawn butter, coleslaw, Pier 49’s famous seafood chowder, house baked bread knot, and soda, beer or wine. Child rate applies to ages 12 & under. Taxes not included. Times are approximate. By arrangement to meet tour & cruise ship schedules. Operates in most weather conditions. Please see our Trip Interruption Protection & Terms & Conditions. Notes: Sequence of tour features may vary. Suitable for all ages. Children 12 and under must be accompanied by an adult. Children ages 13-17 must have a signed parental consent form if traveling without a parent or guardian. 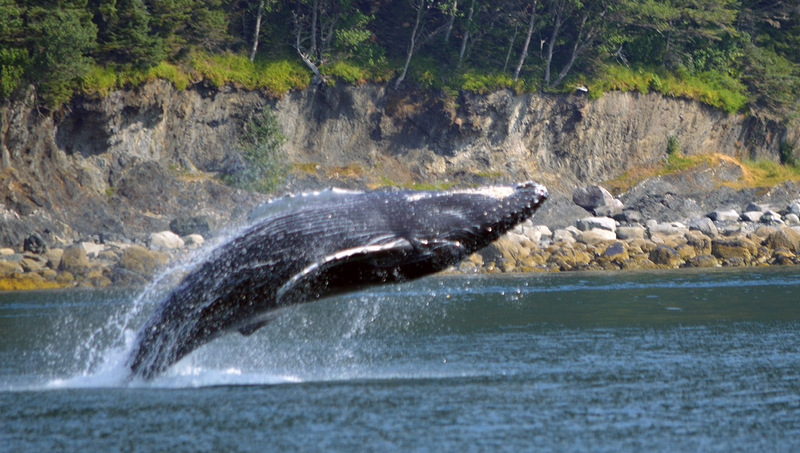 Alaska is an experience of a lifetime, share it with others. We’d love to hear about your experience with us—please share your review on Trip Advisor, our social media or with your cruise line. Or, upload your video to our YouTube page. Don’t forget to enter your photos in our annual photo contest! Share your review with us, your cruiseship, or share your video on YouTube. 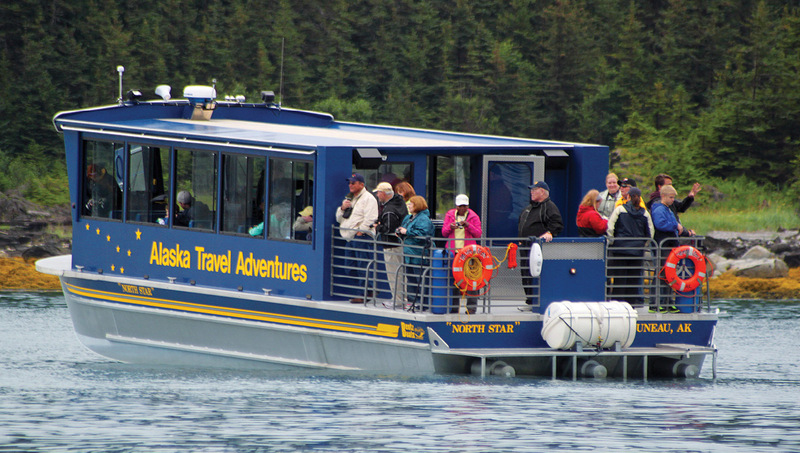 Board your transfer at the pier and set off for Auke Bay, a charming waterfront borough 12 miles to the north of downtown Juneau. Soak up the sights as your knowledgeable guide entertains you with expert commentary on the region’s history, culture and outdoor lifestyle. Juneau’s story has been a colorful one ever since two erstwhile prospectors, Joe Juneau and Richard Harris, discovered gold back in 1880 and put Juneau on the map. Despite its relative inaccessibility, it’s been the Alaska state capital since 1959. 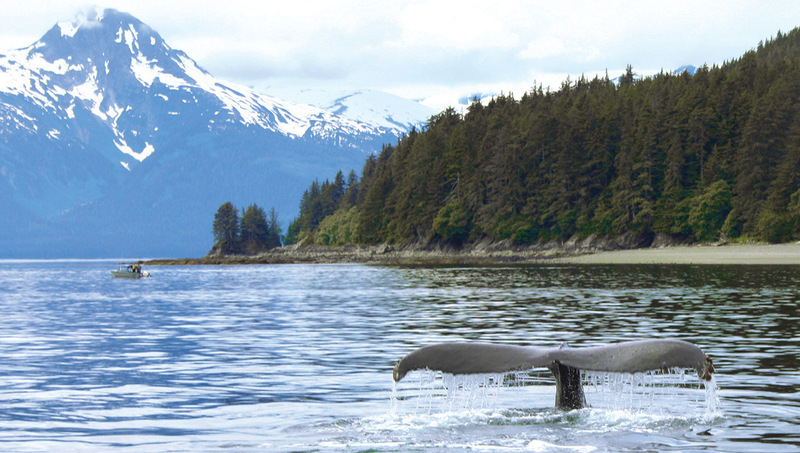 Auke Bay, with its pristine marine habitat and dazzling mountain and glacier views, is the ideal place to commence your wildlife cruise. Join your captain and naturalist aboard a state-of-the-art 48-passenger jet boat for non-stop beauty. Remember to keep your camera handy as you slip your mooring and the famous Mendenhall Glacier comes into view (on clear days). 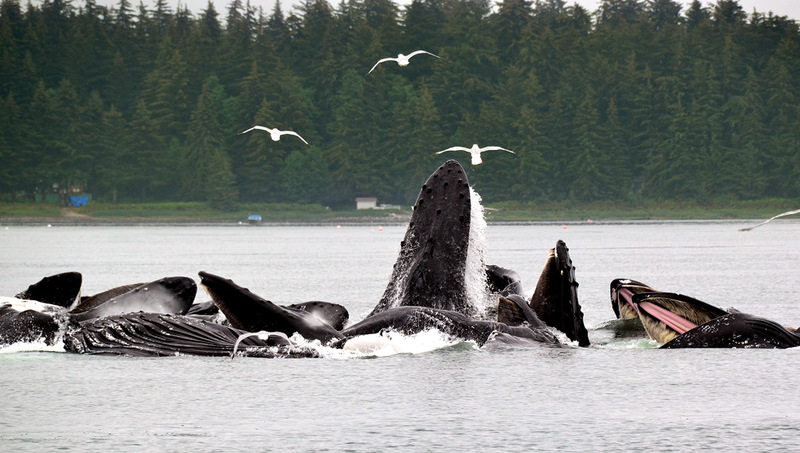 Juneau has a healthy humpback whale population with some 65 whales returning each season to feed in the nutrient-rich waters. 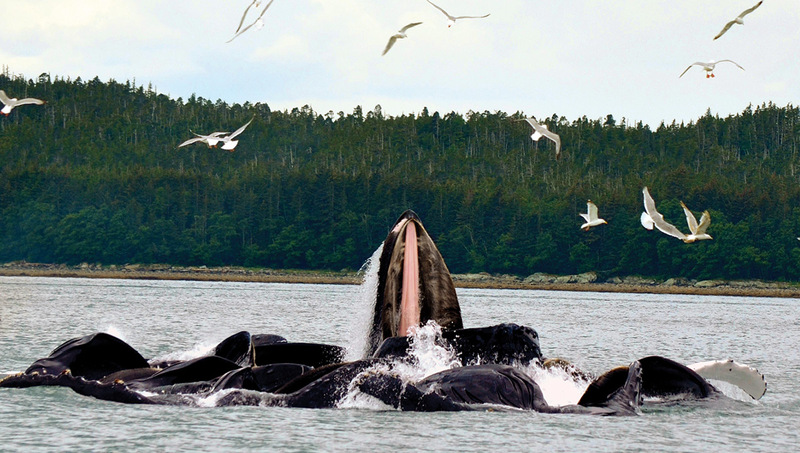 Your captain will let you know when whales are spotted, so get ready to join in the collective chorus of “Oohs!” and “Aahs!” These waters are so rich, whale sightings are guaranteed! In fact, if a whale is not spotted you’ll receive a $100 refund ($50 for children). 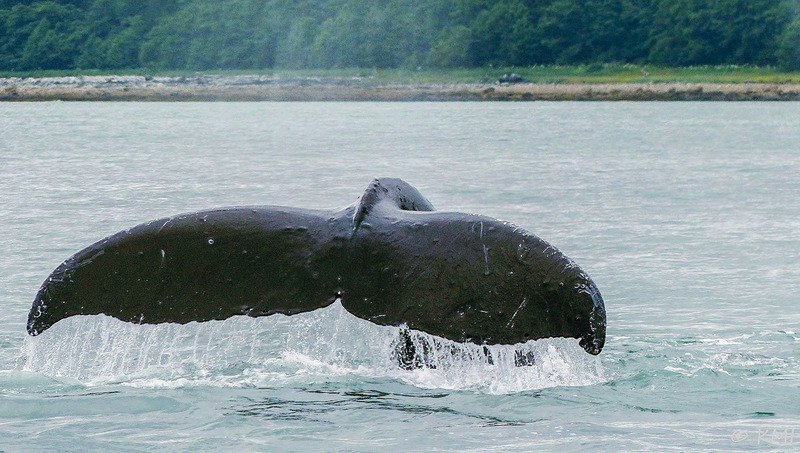 You’ll watch these whales from our state of the art, 48-passenger vessel, custom built for whale watching in Juneau waters. Binoculars are available for your use onboard. Venture out on the deck to enjoy a panoramic view of your surroundings or to snap a photo. Or, settle into your warm and comfortable interior surroundings to enjoy the scenery and wildlife sightings through the oversized windows. In addition to Steller sea lions, Dall’s porpoise, bald eagles and a variety of seabirds, your naturalist will make sure to scan the shore and point out any bear or blacktail deer sightings and to describe many other aspects of the area’s intriguing flora and fauna. Immediately following your cruise, head to the Pier 49 Seafood Station, located on Juneau’s waterfront. Pier 49 is Juneau’s premier seafood outdoor eatery designed with unique shipping container construction. 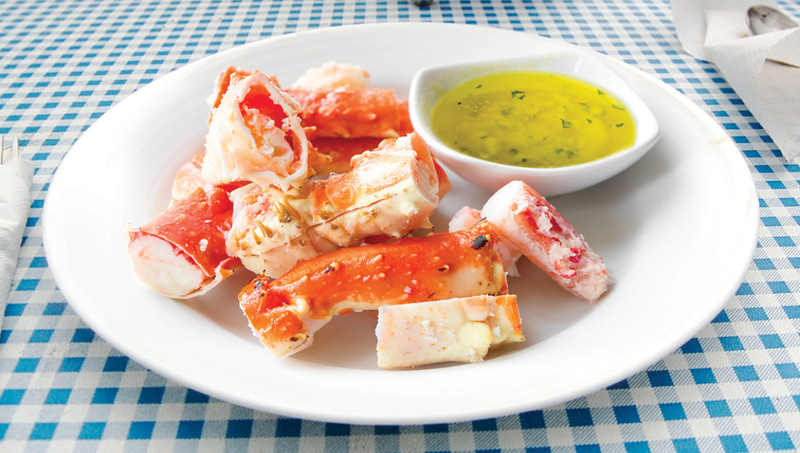 You’ll be served one pound of Bering Sea Red King Crab Legs – easy to eat and dip in drawn butter, coleslaw, Pier 49’s famous seafood chowder, house baked bread knot, and soda, beer or wine. After your meal, enjoy the ambiance of Juneau’s waterfront dining and all that downtown Juneau has to offer before you make your way back to your ship.